There's officially one hundred and thirteen players that comprise the twelve teams that partake in the inaugural season of the Overwatch League. With the season set to start on Wednesday January 10th and to be split up into four stages, I've comprised a watch list of players who's performances I'm most interested in for various reasons. I've chosen eight players from across the four main positions of play (DPS, Tank, Support & Flex) with an explanation as to what part of their game I’m looking into the most. So let’s begin the Blackwatch: Players to watch list. In all fairness this second DPS spot could have gone to any one of the DPS players on the Spitfire team as their DPS corps is disgustingly good. However in a meta where Tracer is an instalock, I’m going to go on record and say it out loud, the best Tracer in the world in my opinion has to be on everyone’s radar. Profit alongside Hooreg were the only bright sparks during a disappointing preseason game against the LA Gladiators. However, don’t sleep on that performance as during Apex season four, Profit was insanely good on Tracer and showed he’s more than just a hit scan player by destroying RunAway and Hyo-Jong “Haksal” Kim in the final of Apex last season with Genji. At only 18 years old, Profit has every chance to be the leader of the DPS new school. After a few seasons being the only bright point on a bad Flash Lux team in APEX. Byung-Sun "Fleta" Kim is finally in a position shine on a team that can actually provide him some much needed support. Fleta is well know for his projectile DPS style with Genji and Pharah, plus in preseason Fleta showed that he's happy and able to flex onto Widowmaker for some fun 1v1 and wow moments (Fleta vs Diya in preseason I'm looking at you). Fleta has the opportunity to step up even further being surrounded by the likes of Tank Jin-Hyuk "Miro" Gong and Captain and Support Je-Hong "Ryujehong" Ryu who both played for South Korea during the Overwatch World Cup and are on another level to what he's used to. I want to see if Fleta can be the star player they want or if he will be fighting Seok-Woo "Wekeed" Choi will be waiting in the wings when needed. 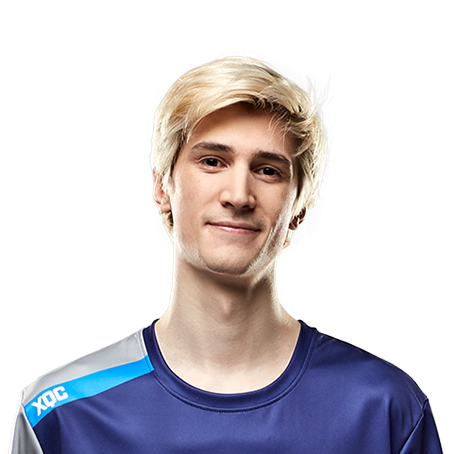 The preseason has been a roller coaster ride for Felix "xQc" Lengyal. He made it to the final of the Overwatch World Cup as part of team Canada, picking up the MVP award in the process. To then a few months later get tilted into oblivion on stream and throwing while other OWL players were in the same game and on his team. There are likely to be repercussions coming xQc's way for his actions that will potentially result in a ban of some sort but I fully expect Felix to come out all guns blazing once he does. He's to me OWL's version of Terrell Owens or Chad Johnson, has the best drive and willingness to win when he's motivated, but he's going to produce a lot of smack talk through out the season. Felix currently stacks up well for both a Dive Comp with his Winson and a Shield comp with both Reinhardt and possibly the best Orsia I've seen in competitive games, he stacks up really well to be a valuable member of the Dallas Fuel. After a few years playing as a top lane Tank for Samsung Galaxy, Dignitas and Fnatic in League of Legends, chef Gamsu is back on the big stage after a successful transition to Overwatch. As part of a fairly inexperienced team in the Boston Uprising, Gamsu’s experience is going to be huge both in and off the stage. With a preference to playing main tanks such as Reinhardt and Winston, Gamsu has the smarts and experience to lead Boston to a few surprising results. While they do have the likes of Jonathan “Dreamkasper” Sanchez and Nam-Joo “Striker” Kwon as DPS plus Kristian “Kellex” Keller at support who are also going to play big roles. It’s realy time to see what Gamsu can do with a team around him where he will likely be one of the main leaders. The San Francisco Shock came into the preseason with many doubters about their talent level as a team with most of the hype being around when star DPS player Jay "Sinatraa" Won comes of age in March. While Andrej "Babybay" Francisty is going to be the star of the team in Sinatraa's absence, it will be Daniel "dhaK" Martinez Paz that will take the lead as captain to push the team forward. DhaK has already shown that he's not afraid to make a stand, when he called out his teammates for emoting too early in a preseason game. 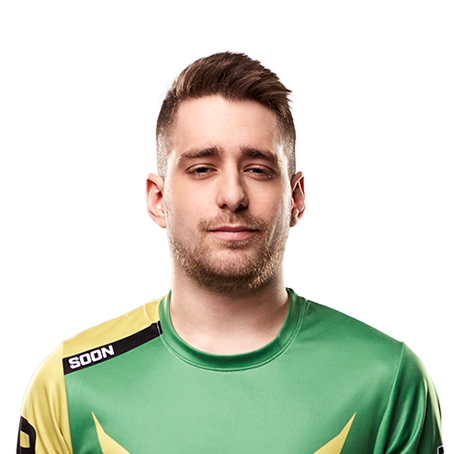 With dhaK being a Lucio main who's currently in a Mercy meta, I'm interested in seeing how he will perform in the early part of the season as he will likely be forced on to Mercy to allow Nikola "Sleepy" Andrews to play Zenyatta. Will the forced change be a detriment to his game or can dhaK continue to be an influence both on and off screen. It's been an interesting few months for ex Starcraft two pro turned Zenyatta main Issac "Boombox" Charles. He's won Contenders Europe Season Zero as part of EUnited, helped the United Kingdom storm to a surprising quaterfinal finish at the Overwatch World Cup and was picked up by the Fusion for OWL. On the flipside, he and the rest of his Philly teammates were the only team unable to partake in any preseason games due to "logistic" reasons. It will be interesting to see how well they play with little to no experience as a team. Boombox is set to perform well on Zenyatta, who is seen as the perfect compliment to Mercy right now. Able to focus down tanks, Boombox will be able to use his on stage experience to ease him into OWL. If the preseason showed us anything about the much questioned selections of the Shanghai Dragons, it showed us that Lu "Diya" Weida is legit and is likely to pop off at any minute. Shanghai as a team looked very lack lustre and unorganised as a team during preseason, not showing that willingness for a team fight that Chinese teams are known for, this was all except Diya, who shone on a personal level flexing from DPS to Widowmaker. Diya helped set the tone for Widowmaker play during the first preseason game, taking previously mentioned Byung-Sun "Fleta" Kim to school at times during their 1v1 battles. While being able to play McCree and Tracer to high levels, I wanted to see more of his Widowmaker that came through so brightly in preseason and a pocket pick of Doomfist, who might turn out to be an amazing counter to Mercy. Diya in my opinion is very underrated going into the season, but this wont last after the first few weeks. This ends my Blackwatch, players to watch list for stage one of the season. Tell me what you think of this list and who do you feel I should keep an eye on throughout the season.